Home Unlabelled He posted this photo of his daughter and it saved her life. Because one comment was different to all of the others! When this father took a funny photo with his daughter, he didn’t know that it would save her life. 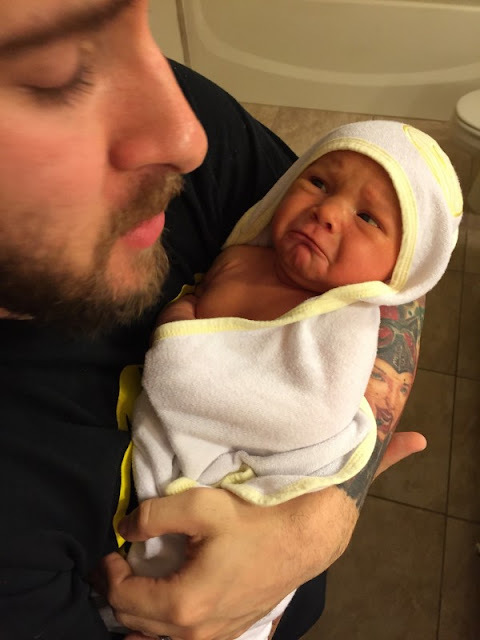 As he photographed his daughter after her very first bath, he found her stunned and reproachful expression so funny that he posted the snapshot online. “Are her eyes a little yellow? It looks like it to me, but it’s hard to tell, because the entire photo is a little yellow. The dad listened to the concerns of the stranger and took his daughter to the doctor. the little girl had jaundice and therefore, this attentive children’s doctor had probably saved her life by commenting on the photo! Even though jaundice can be common in small children, if it is left untreated, it is potentially deadly or can cause severe brain damage. So it’s fantastic that this doctor looked a little closer and that the father immediately reacted.